Rochester Institute of Technology is taking a leadership role in a first-of-its-kind alliance to promote higher education in the video game industry. The Higher Education Video Game Alliance, a coalition of more than 20 universities, was launched July 1 at the Aspen Ideas Festival. The group aims to promote unified advocacy, policymaker engagement, media coverage and external funding in order to harness the power of video games. Andrew Phelps, a professor and founder of RIT’s School of Interactive Games and Media and director of RIT’s Center for Media, Arts, Games, Interaction and Creativity (MAGIC), will serve as treasurer and a founding executive committee member of the group. “By coming together as an alliance, I believe that we will better showcase the critical role that video game programs play in educating and preparing students for the 21st century workforce,” said Phelps. Conduct meta-analyses of the state of play along various sector issues, such as health, education and technology challenges. “As the leading association representing the video game industry—which is a booming industry—ESA is excited by this new collaboration among the country’s top game design departments and professors,” said Michael D. Gallagher, president and CEO of the ESA. The community will be led by and open to university faculty, directors, department heads and other campus leadership. The founding universities and executive committee members include Phelps; Constance Steinkuehler, associate professor and co-director of the University of Wisconsin-Madison Games+Learning+Society Center; Tracy Fullerton, associate professor and director of USC Games at the University of Southern California; Drew Davidson, professor and director of the Entertainment Technology Center at Carnegie Mellon University; and Katherine Isbister, associate professor and director of the Game Innovation Lab at New York University. Currently, 381 colleges, universities and trade schools across the United States offer video game design as part of their curriculum. A total of 55 schools offer associate degrees, 226 offer bachelor’s degrees, 46 offer master’s degrees, and four offer doctoral degrees. “I welcome other charter members to the alliance so that we can further develop this new organization and aim to present a cohesive voice spotlighting this very meaningful work,” said Steinkuehler, who is also executive director of the alliance and former senior policy analyst in the White House Office of Science and Technology Policy. Phelps hopes to see the alliance address issues surrounding national policy for video games in education and best practices for promoting collaboration across campuses. 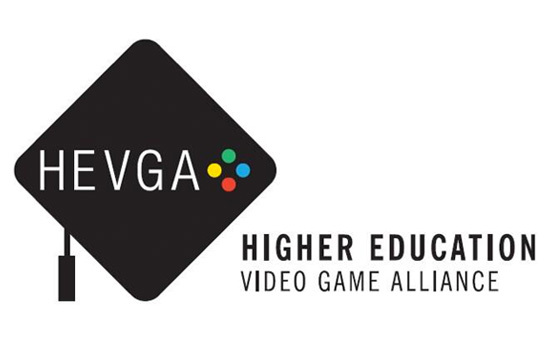 For more information and a full list of charter members, go to www.higheredgames.org or follow the alliance on Twitter @HigherEdGames.